16 weeks down and 2 to go on the road to DC. Whenever I talk to non-runners about marathon running, one of the comments I almost invariably hear (other than “you’re crazy”), is “I could never run 26 miles”. Of course this palpably isn’t true – anyone can do it, and the over half a million people who complete full marathons every year in the US alone prove it. The real challenge is not actually running the 26.2 miles, it’s making and delivering on the commitment to train for them. Think about it – a typical soup to nuts marathon training cycle lasts 18 weeks, or 126 days, and staying focused on anything for that length of time takes effort. Don’t believe me? Try something simple, say committing to doing just ten push-ups for a minimum of five mornings a week, for 18 weeks, and see how you get on. Report back in 4 weeks and let me know how you are doing. It’s exactly why so many new gym memberships start gathering dust around the first week of February each year. Getting over the hump, building a habit and staying the course is really hard. Set the right goals and pick the right training plan to support them. Following a training plan not suited to your current level of fitness, ability, goals, time availability, etc., is a sure-fire way to a disappointing experience. If you are a newbie, then you should probably pick something with ‘beginner’ written on it. Seems obvious, but I’m sure I’m not the only one to start an endeavor and assume myself to have powers greater than they really were at the outset. Start slow, prove the concept to yourself, get some runs under your belt and you’ll find plenty of self-motivation from your progress to keep you ticking along. You also have a better chance of staying injury-free. Understand your plan. Ever tried to follow some assembly instructions, or a process at work, and decide on the fly to miss out steps 3 and 8 because they didn’t seem to add value, only to find out later that they were kind of important? Same thing with running. It’s really easy to let that ‘easy 6’ on a Monday slide by, if you don’t appreciate that those easy miles are, (amongst many other things), what trains your body to burn fat before carbohydrates. 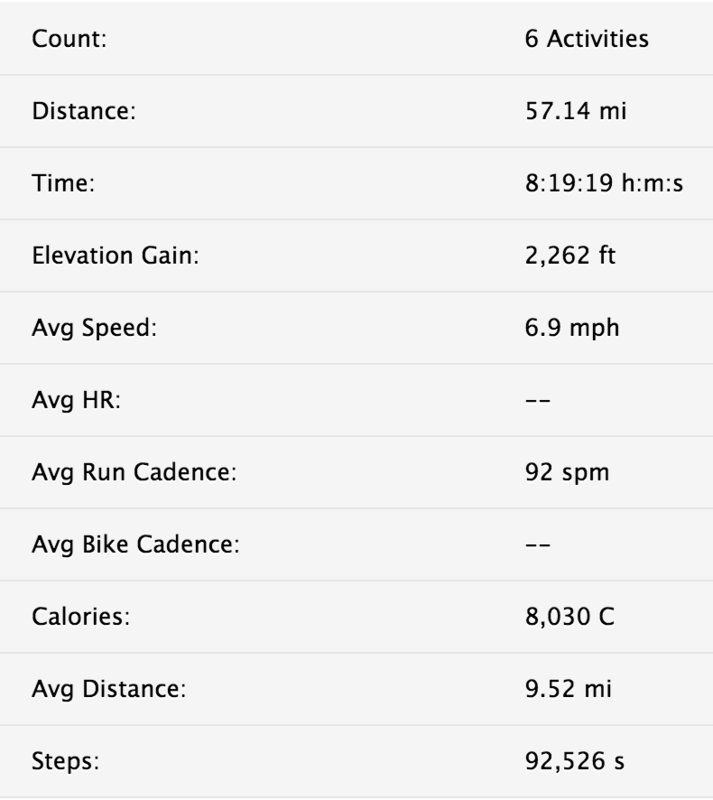 Doesn’t seem like a big deal when you decide to miss a run or two in week 12, but seems like a massive deal when you are running your marathon and are about to bonk at mile 19 because you’ve used up your fat stores and are running out of carb fuel. Know the steps and what they are there for, and you are much less likely to miss them out. Get your family onside. I’ve said it before, but I think that marathon running is very much a team sport. You may be the one running the race, but it’s really hard to stick to a plan, week in, week out, for 18 weeks without the co-operation and support of those closest to you. It’s hard to think of many things that can put a kink in your training quicker than a significant other who is unhappy when you disappear for hours on end as the training mounts. It’s a big undertaking and you need to make sure all the pieces are in place at home (including your plan to fill in for your absences) when you start training. The last thing you want to do is feel guilty when you are running, and I think that part of how you overcome this is a) demonstrating very clearly how important this is to you (and by this I mean ‘do the work’ (go and out actually do the running) as opposed to just ‘saying’ it’s important, and taking a half-assed approach to training), after all, why should they tolerate the absences and get behind you if you aren’t taking it seriously yourself?, b) involve the family in what you do – I’ve tried to run a few races in interesting places, and bring my wife and / or family along with me so we get to double up by enjoying the marathon and a weekend away, meaning everyone wins and c) be appreciative of the support. My girls know I could not follow this passion without their support, but it doesn’t stop me saying thank-you again (thank-you girls! ), oh, and d) support their passions – quid pro quo. Fight to make running a habit. There is no way around this, you need to get into the habit of running if you’re going to be successful in following a plan. I read somewhere that it takes a minimum of 21 repeats of something for a habit to begin to form. Seems clear to me – run 21 times and you’ll start to be in the groove. That’s basically 5 runs a week for a month – you can do that right? In my experience, habits are hard to form, and easy to break, so help yourself by putting your runs in your calendar or on your to-do list, and while you are at it, have all of your running gear easily accessible and ready to go at all times. There are always a thousand reasons why you can miss that run today, don’t let “I couldn’t find a clean pair of running shorts” be one of them. You don’t have to do this alone. Especially if you are a newcomer to the sport, finding a running partner or group can be an excellent way to help sustain your training and help hold yourself accountable to your plan. It’s much harder to bail out of a 16 miler in the pouring rain if there are people waiting for you. I’ve done it both ways (and readers of this blog will know that in the past I’ve trained for several of my marathons with my dear friend Yoko), but this time I’ve been solo – 93 training runs to date, 92 done on my own. Honestly, I think it’s better with company, for at least one run a week. In the socially networked world we live in today, you can also crowdsource your support. Share what you are up to and you’ll be amazed at how supportive and encouraging your wider circle of friends and acquaintances can be. You’ll probably find a few people among your network who are runners and can offer you some great advice from their own experience. Join the Facebook or other online social groups of the race you’ve entered for and again, it’s a great way of sustaining your motivation when you are connecting with other people preparing for the same event. So these are just a few of the things that have helped me over the years, and especially get over the disappointment of my last race and train for the upcoming 2015 Marine Corps Marathon. For me, the discipline and mental toughness required to follow a dedicated training plan is very much the point of the exercise to begin with. Getting to the start line well prepared and in good shape is the hard but rewarding work of marathon running, while the race itself is a celebration of what got you there, and a specific measurement of progress en route to wherever it is you are headed. I’ll say now that there is a big gap in this list, which is proper nutrition and good eating habits. I have a lot of work to do in this regard, but decided I could only focus on so many things at the same time, so this is something that I haven’t forgotten, but I’ll acknowledge now, I haven’t figured out yet. What about you? What are some of the things you do to stay on track? I’d love to hear about any tricks or ideas you have up your sleeve to help keep you going. 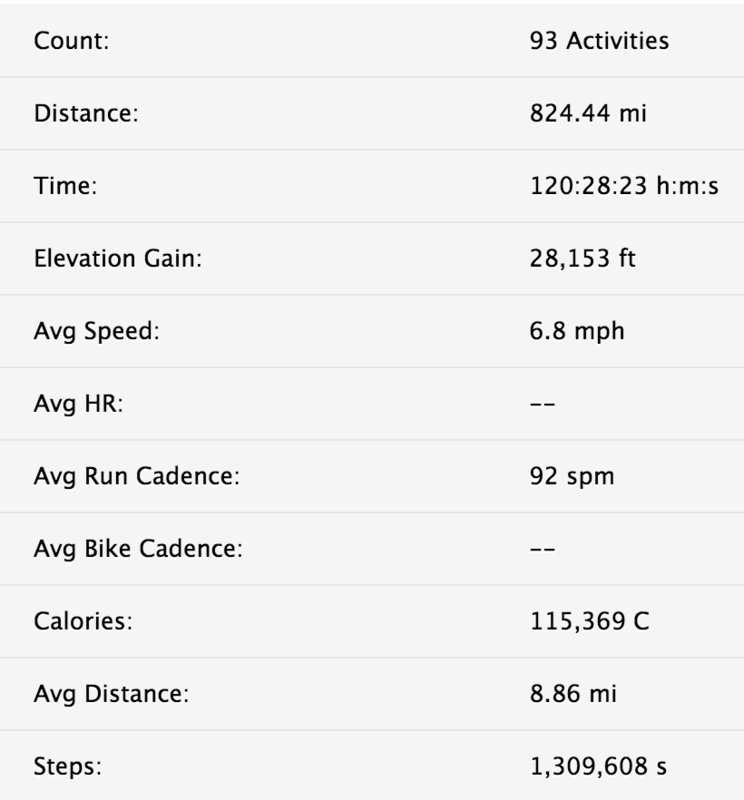 My numbers for the week and for my 16 weeks of training to date are below. Next Post Next post: OORAH! Definitely agree with not being able to work on nutrition like I wanted to and for the same reason. Can only focus well on so many things and I already feel overloaded. As for the training, it’s been a lonnnng training cycle. Can’t believe the race is in 2 weeks. Not where I hoped to be but that’s how it goes sometimes. Good luck on your race! Thanks for the comment – Can’t believe it’s 2 weeks either! Any advice on the course? Hope you have a great run! Not sure my advice is any good b/c it’s mainly tailored to my own mind games. 🙂 But I will say I didn’t run the tangents last time at MCM and it cost me a LOT of time. Also, just more of a weird fact, when you hit Georgetown area, the GPS watch started to go a bit weird with the buildings and running under bridges. Don’t flip out if that happens (I did). But it seemed to quickly sort itself out, I think. I still don’t really know if it affected what my watch was predicting for me. Just taught me to stop relying on it so much I guess! Great tip on the tangents – you saved me minutes right there – thanks! !